I have finished this little fellow this week. And he is shipping to California today. Honestly loved painting him, he has so much character in the reference photo. He is a bucking bull and I was asked to paint him to be given as a gift. I do NOT like packing and shipping the larger watercolor paintings. I have never rolled one, or shipped in a tube, and the packaging is always a challenge. I followed a suggestion of buying the 1 inch pick insulation sheets at home depot, and cutting them to fit. I enclosed "Dirty" ( that's his name!) in black mat board, than sealed that in shrink wrap. Sandwiched him (sorry for any hamburger reference there) between two slabs of pink insulation, and put that in a cardboard box. Then lots of crazy and asymmetric shipping tape applied. I think it will be effective if not very pretty. All suggestions/tips/ photos for effective (and pretty) packing hints are welcome! the packaging before the shrink wrap, pink insulation and box! Dare I say he is MOOVELLOUS!!! beautiful, Maria! Thanks for stopping by my blog. I enjoyed touring your site, haven't been here for a while. Your work looks great and love your style. Your animals are so expressive and sensitive at the same time! Look forward to following your work! Thank you so much Mary Anne. I really love your paintings. I went to college in New Hampshire and fell in love with New England, especially Maine. Your paintings tug on my heart strings and bring me happily back to my favorite places. I think your shipping method sounds perfect and you've done a beautiful job with what I see in the second photo. And darn it. Wouldn't you know that now I want a burger? I think it takes me longer to pack and ship than to paint, so many details there, some day I will have an assistant to to do that part, Ha Ha :) SO, Are you saying that I should retitle this to "Cheeseburger in Paradise?" I sandwich mine between two nicely coloured pieces of mount board (mat). Then they are wrapped in brown paper ready to post. Packaging tape secures them and yes, its a long job - but no post man has yet bent one! I like that idea Pat! I think will give it a try. Thank you Diana, glad you like him! I need to stock up on the bubble wrap, I liked the support of the pink insulation, but it is quite messy to cut, and not very pretty to open up to, I think. 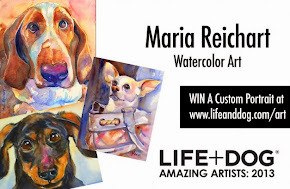 Maria- Your painting is beautiful, and I love your packaging ideas! I am always spending so much time working on how to ship. Love your post! Love your painting and your tips for shipping. I am new to this but I did have to ship a 1/4 sheet watercolour to Spain from Australia and the client asked me to send it in a postal tube. I sealed it in a cellophane bag and used a fat tube so it did not have to roll much. It arrived safely and apparently easily flatted out. Thank you so much Lorraine! 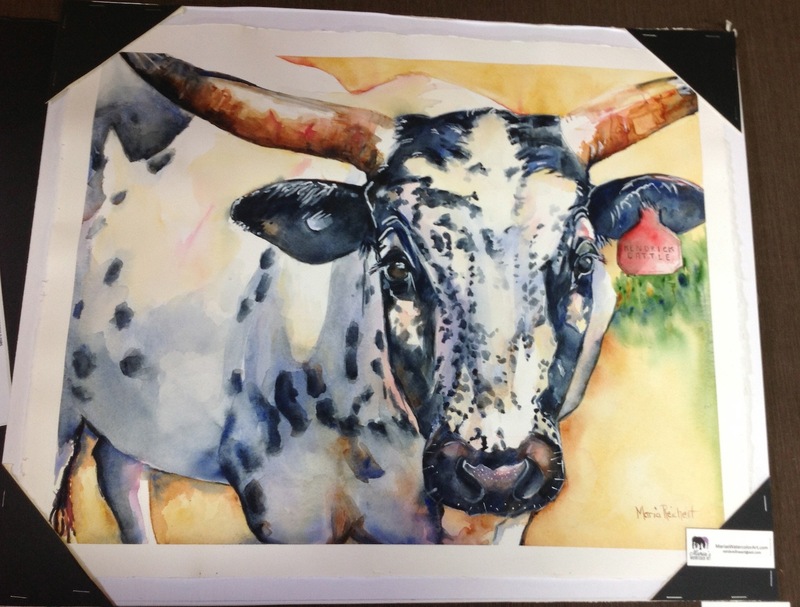 Your watercolor work is lovely! I almost rolled this one to ship, but wasn't sure how to seal it, in case it got wet somehow. I needed the cellophane bag like you used. I appreciate your tip.